I liked this book — don’t get me wrong. I’d even recommend it heartily to people. But I have some issues with it. 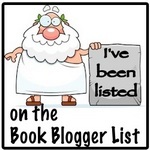 Let’s look at the book blurb, shall we? Right there? I’m sold — great idea for a book. What’s more, this is from Banner of Truth — this kind of thing is in their wheelhouse. Who wouldn’t want to read this kind of thing? The key word there, is “statements.” I had visions of extended portions of the works of these men. Which seemed odd to me at least in Calvin’s case, as he’s notorious for not talking about his life (as is seen in this book, I should add). But still, that’s what it sounded like to me. But by and large we’re talking a sentence or two of quotation to be followed by Calhoun discussing more about his subject on whatever topic/time period he’s looking at. Sometimes we get a paragraph — sometimes a couple consecutive paragraphs. Sometimes it’s less than a sentence. Really there’s a lot more David Calhoun than I expected. I don’t have a detailed analysis, but I’m pretty sure that the text is 55-65% Calhoun (and a few biographers he quotes), with the remainder by the subjects. My other issue is the inclusion of Bunyan. He doesn’t fit thematically, or even historically. Also, despite really trying — repeatedly for almost two decades — I can’t muster up that much enthusiasm for him. This is a personal flaw of mine, I realize. But that’s that. Now, the content of the book? It’s really good — linking these mini-biographies (50-60 pages per subject) to biographical remarks is a great idea, and adds a perspective you don’t normally see. Calhoun is able to focus on the parts of their lives that they cared more about, rather than whatever the prevailing interests of scholars are. We get good, concise views of their lives, with a lot of flavor of the subjects — their concerns, their thoughts, even some of their personality. A good investment of time — I learned some things, I found some inspiration in some of the words — and relished Calhoun showing the Providential care shown to each of these men. Read this, think about it — just don’t go in expecting to get saturated by the words of these figures and you’ll enjoy it more than I did. 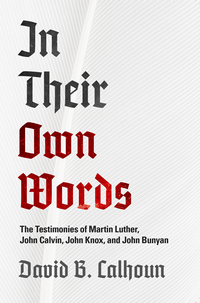 Waters uses that insight from Ridderbos to help explain the significance of the Lord’s Supper in the Christian religion, and thinking along these lines undergirds this entire book — not just that the Supper is something we ought to do, but something it’s vital to participate in — for our own spiritual health. Waters begins by reviewing the basics of covenant theology — defining covenant and looking at the major covenants and how they point to Christ. Then Waters shifts to looking at the signs and seals of the various covenants — with a focus on the purpose of visible, tangible signs. 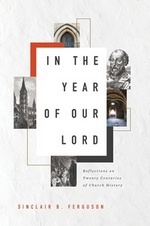 The third chapter narrows that focus to covenant meals throughout redemptive history. 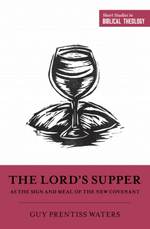 Once the context has been firmly established, Waters introduces the Lord’s Supper with a survey of applicable biblical texts. Finally, Waters considers some practical and contemporary questions and applications. I’m not going to get into any specifics beyond this because what I want to focus on takes a lot of foundation work, and this would stop being about the book and would become a recap of the whole thing. In a book this short (by design), I’m not sure Waters did his readers any favors by being as thorough in the first two chapters — it will be review material for many readers, and those who aren’t that grounded in covenant thinking are going to need more explanation of the ideas. Still, I appreciated what he wrote.The other three chapters were just great — I could’ve used more of all of them, but that’s not the point of the books in this series. The careful consideration of the Supper in its redemptive historical context is so important and putting these ideas in a size and format that aren’t intimidating is going to be valuable. I wish I had this book twenty years ago when I started studying the Lord’s Supper, it would’ve been very helpful and would’ve saved me a lot of time. I took a lot of notes while reading this and am going to spend a lot of time following up on them — and rereading this a couple of times. It’s the kind of book you want to hand out to your friends so you can talk about it with them. The last chapter was particularly helpful and encouraging. This would be a great companion read to Letham, Mathison, and Wallace (to be read after Letham, but before Mathison, probably). 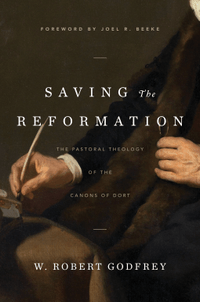 Waters is one of the better academic writers the Reformed world has — thankfully, he’s also capable of producing concise and clear works for laity. This short volume demonstrates that well. It’s helpful, encouraging and I have no doubt will strengthen some believers’ in their use of the Supper as it shows others how important it is. I’d been previously unaware of the series Short Studies in Biblical Theology, I’m pretty sure I’m going to be getting my hands on some of the other volumes. I love the idea behind the series and if they’re all this helpful, it’ll be worth it. Disclaimer: I received this eARC from Crossway via NetGalley in exchange for this post — thanks to both for this. My initial thought when I saw this book was: do we need another popular-level work on The Ten Commandments? We’ve got so many already, like: Ryken’s Written in Stone, Horton’s The Law of Perfect Freedom, Packer’s Growing in Christ. We’ve got Douma’s, Watson’s and Durham’s (newly republished) on the heavier end of the spectrum, too. 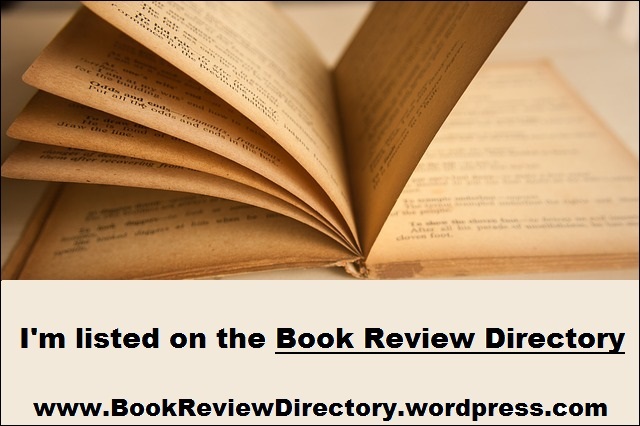 Why bring out a new book by DeYoung? Still, I was intrigued, so I requested a copy. Not too surprisingly, I’m glad I did. This is typical DeYoung: a strong, affectionate, orthodox take on the Law delivered in a very accessible and affable manner. He made me think, he made me reconsider a thing or two, and he reminded me of a few things I needed reminding of. He begins this work against the framework of the secular “anything goes” point of view, where everything certainly does not go — as much as we as a culture might rail against an external source of morality — there are things that simply cannot be said or done. Giving us a choice between humanity’s unwritten, assumed code — or God’s revealed will. DeYoung then goes on to list reasons for the study as well as the following of God’s Law. The other important groundwork comes from the midst of his very strong chapter on the First Commandment in which he describes the role of the Law for New Covenant believers. It’s still applicable, still binding — just in a different manner. I think this could’ve been developed more — maybe in its own chapter, but what we got here was good. I do particularly appreciate his metaphor of transposition. The Law in the New Covenant is the same for believers as it was in the Old, it’s just in a different key. Following the introduction where he lays out his framework, DeYoung turns to consider the commandments individually. This is the bulk of — and the heart of — the book, with a chapter devoted to each commandment. If the book has any value, it’ll be found here, and there’s a lot of it to be found. I briefly considered summarizing each chapter, but why steal his thunder. Also, he’s not carving out anything new here, so there’s little need. What’s new is his expression of the timeless truths, his way of explaining and applying them. If you want a quick summary of what he’ll say about each commandment read The Heidelberg Catechism questions 92-115 or the Westminster Shorter Catechism questions 39-85, and you’ll get a pretty good idea. Instead, I’ll just comment on a few highlights and a couple of problems I had (your mileage may vary). I found his comments regarding the Fourth Commandment to be helpful, but hesitant — in his effort to not be legalistic, or overly dogmatic, he comes across as wishy-washy. I appreciated most of what he had to say about the Second Commandment, but again, he’s hesitant enough in some of his application to stumble a bit. Which is not to say that the bulk of those chapters weren’t good and helpful — they were. I think he could’ve been more consistently so. Conversely, the chapters on the Eighth and Tenth commandments were incredibly helpful. If you ask me, these two are where the American Church and American Christians stumble more often than we realize (or care about). Publicly, Protestants are expounding so much energy on certain applications of the Sixth and Seventh commandments that one would be tempted to think that 8-10 are concerns of the past. DeYoung doesn’t let the reader think that for an instant, and if you don’t come away from these chapters with a good dose of conviction of your own sin, you probably didn’t read it too closely. The chapter on the Third Commandment was invaluable also. It’s far too easy for Western Christians to reduce this to “don’t be a potty mouth” and far too hard for us to really get what the importance of “name of the Lord” is. DeYoung does a yeoman’s job on both fronts and does a good job expounding the meaning of this commandment. You’ll never walk away from any of these chapters thinking that DeYoung is writing a hellfire and brimstone jeremiad against the Church, you, or anyone. He’s sharply critical of a lot of general culture, and individual inclinations, but that’s to be expected. There’s conviction and inspiration both to be found in these pages — all delivered in DeYoung’s warm, almost conversational, style — a strong blend of wit and charm with the steel in his words. I won’t get into it, but his chapter on the Third Commandment contains one of the funniest anecdotes (more in the telling than the story) I’ve read from him. Ignoring his content for a moment, his writing style is what will keep me coming back to DeYoung’s books for years to come. I think I’ve said before, I’m not a big one for study/discussion questions in books — I like to think the engaged reader doesn’t need them and someone leading a discussion/study of a book will be clever enough to come up with their own. But, I’m obviously swimming against the tide on this because publishers keep printing them. That said, on the whole, this is a pretty good set of questions and would help someone who likes those kind of questions for their own use or for those using the book in Family Worship, Sunday School, or Bible Study. 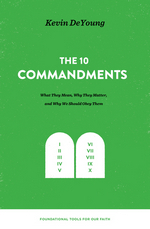 In the end, my question, do we need another popular-level book on The Ten Commandments? Is answered yes: we need frequent — constant — reminders of the revealed will we’ve been called to obey, so we never stop striving for that perfection and never cease calling on the Spirit’s assistance. 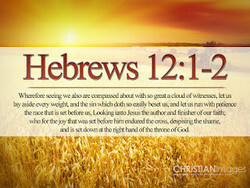 We also need to remember how great our sin and misery are so that we constantly live lives of repentance. So bring on DeYoung’s good summary. And others as well — and we need to read them, as well as the older popular-level works. And then we need to push ourselves and read some of the less-popular level ones as well. This is a good, short set of meditations and reflections on the perfect law, the law of liberty for a contemporary audience. 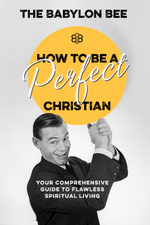 It’s approachable, it’s warm, it’s pointed, and it’s Gospel-centered. It’s not perfect, but it’s good. It functions well as a refresher for those who need one, and a good starting point for their own study of The Ten Commandments. I’m buying a copy (at least one) for my personal library and will be encouraging my household to read it — and anyone else who asks.